Silverado Village in Placerville and Roseville are unique options in independent living for seniors. This is a blend of independent, active single family home living combined with on-site service and in-home help and supportive care and amenities of an Eskaton Village right next door, if and when you need them. Silverado Village’s unique multi-level service approach allows for a smooth transition from the responsibilities of a larger property to a more comfortable, low maintenance home. Home amenities have also been built around senior needs and feature everything from easy-to-use lever style door hardware and controls on all plumbing fixtures, no-step walk-in showers, recessed lighting at all travel paths, emergency pull cords and remote pendants for enhanced peace of mind. These amenities are in addition to build features such as R-8 duct insulation, tankless hot water heaters and homes built 18% more efficient than California energy efficiency requirements. The convenience of single story homes comes with wireless emergency response systems and safety, security and peace of mind with a wide variety of service and care choices. Additionally, residents have priority access to the Eskaton Lodge if and when needed, and the homeowner’s Village Center with its Bistro Cafe, year-round water aerobics in the indoor heated pool, spa access, a fully-equipped fitness center, multi-purpose room for arts, crafts and educational seminars and more. 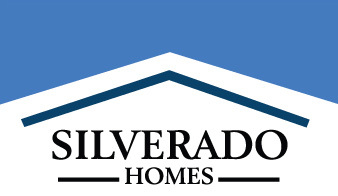 Homes at Silverado Village Placerville start in the high $200,000’s. Models and sales office are located at 3471 Eskaton Drive and open daily from 10:00 a.m. to 5:00 p.m. For more information, please call (530) 748-3568. Placerville’s “twin sister” community in Roseville is selling the final homes with prices starting in the high $300,000’s. For more information, please call (916)771-5151.